One of the contradictory things about human nature is how we need leadership yet often resist it. There is something within us that wants our own way. When a leader (parent, teacher, pastor, boss) reins us in, we push back. At such a time, sometimes a leader gives up. "The prophet is appointed to be a good shepherd, but because he is rejected, he forsakes the flock (vs. 9) As a good shepherd, the prophet is a type of the coming messianic Shepherd, Jesus Christ, who came as the Good shepherd and laid down His life for the sheep (John 19:11-18)" - Reformation Study Bible, accessed through BibleGateway.com. The consequences of this rejection are sobering. For starters the good, but finished shepherd of Zechariah breaks his rods of Beauty and Bonds. Remember in Psalm 23 where David says, "Your rod and staff, they comfort me"? These shepherd tools of rod and staff were used to discipline the sheep, protect them, and rescue them from danger. 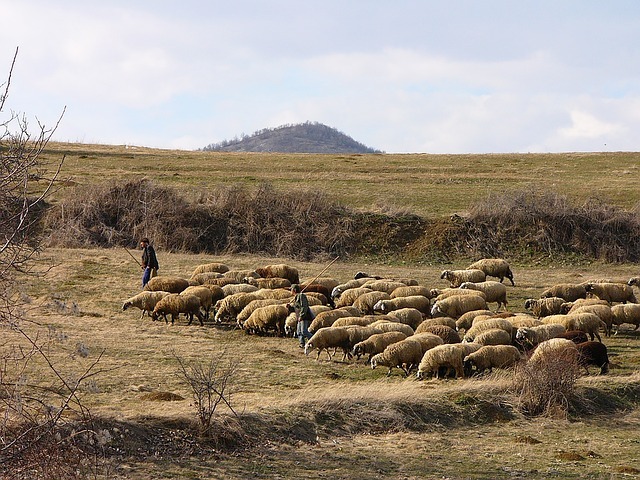 Though perhaps sometimes misunderstood, they were part of the shepherd's care. Now in the face of the rebellious people these tools of discipline and care— Beauty, the covenant between God and Israel (Zechariah 11:10), and Bonds, the unity of the nation (Zechariah 11:14)—are broken. In addition to the prophetic overtones of this passage (in it we see predicted Judas' betrayal—compare Zechariah 11:12,13 with Matthew 26:14-16 and Matthew 27:3-10), it serves as a warning to any of us tempted to stray from our Shepherd Jesus and resist the leadership He has put us under. His ways may sometimes seem harsh but His wounds are wounds of love, the rod and staff of wise care. 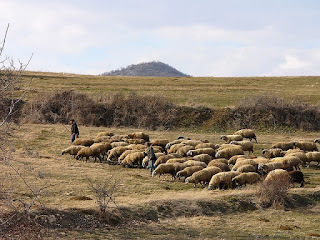 Contrast that with the shepherds that God gives the people over to in Zechariah's time—uncaring, callous toward the vulnerable, unresponsive to the needs of the flock, selfish and brutal - Zechariah 11:16. So how are we to respond to leadership? Four examples from the Bible come to mind. Paul tells the Christians in Rome to obey governing authorities - Romans 13:1-7. He tells Timothy to remind his parishioners to pray for leaders (1 Timothy 2:1-3). However, the disciples also resisted the commands of the religious leaders of the day when they were told to cease preaching the gospel (Acts 5:29). Above all and in every sphere we need to recognize and respond to the voice of our Jesus, our spiritual Shepherd (John 10:4). PRAYER: Dear Jesus my Good Shepherd, help me to submit to You and the rod and staff of the "shepherds" you have placed over me. When their leadership is ungodly, show me when to resist and when to obey even as I continue to ask You to help and guide all those in leadership over me. Amen.